March over to Temecula Valley Wine Country for excellent events this month. From eclectic music concerts to cooking classes for the family, Temecula Valley Wineries has something for everyone. Check out the list below for March events at your favorite Temecula Valley Wineries! Thornton Winery’s Recycled Cork Contest asked artists, cork dorks and interested parties to create original art pieces by using recycled wine corks as the main material. The winner will receive $500 and their art piece will be showcased at Temecula Valley Wine Country’s next big event,WoW (World of Wine Barrel Tasting) Weekend. All WoW Weekend event ticket holders will get to vote for their favorite cork piece in Wine Country, so make sure to get your tickets ASAP! Most, if not all wineries participating in the WOW event will be showcasing their own cork art, so the competition is sure to be hot, hot, hot. To learn more, go to Thornton Winery. Hear some of the great guitar classics from Beatles to Bach with stellar performances by guitar virtuoso, Vince Mendoza and a talented lineup of guitarists. During intermission, enjoy an appetizer plate and dessert. Join Chef Rovert Velez this month for a fun, exciting and informative two hour Fresh Asian cooking class paired with Danza del Sol wines! Bring a group of friends for a girl’s night out or make it a date night! For more information and a monthly schedule of classes go to Danza del Sol Winery. Michael teaches you how to make a gourmet meal. His hands-on classes mark preparing a news meal fun and easy. If your teenager is interested in cooking, this is a great experience! *Reservation Required. For more information, go to Oak Mountain Winery. Live @ Lorimar offers an intimate and fun location for musical performances. Overlooking Main Street in Old Town Temecula, Lorimar has a unique and “edgy” feel perfect for innovative musicians. The venue offers an acoustic setting like no other, and is the perfect place to hear great live music from some of Southern California’s best up and coming musicians. Light appetizers, wine tasting and wine by the glass available throughout the night. For more information, go to Lorimar Winery or call (951) 240-5177. 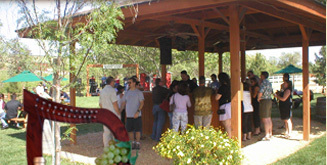 Enjoy music that “rocks Old Town” at Longshadow Ranch Vineyard & Winery each Saturday evening. Located at a beautiful valley filled with history and charm of “the old west,” these live music shows are guaranteed to get you moving! For more information about “rocks Old Town,” go to Longshadow Ranch Vineyard & Winery. Since 2001, every Friday and Saturday night Miramonte Winery has been home to some the finest live music in the Inland Empire. 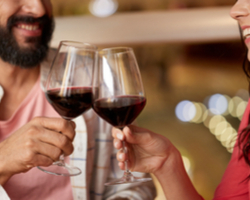 Offering great wine, beer and live music, these weekend events have evolved into signature wine/music events in Temecula Wine Country. Prix Fixe chef-prepared meals and incredible cheese plates available. * March 4 Nathan James- Winner of the International Blues Challenge! * March 5 Shoppy- Sublime meets funk meets eclectic jazz! * March 11 D Priest- Soulful classic rock of the 60s, 70s and 80s. * March 12 4019’s- The Who meets The Clash meets The Ramones. * March 18 Billy Watson- Big, lushy blues, a hint of comedy – a super fun show! * March 19 Bluefish- Big rock sounds from the 70s, 80s, 90’s! SUPER popular. * March 25 Missy Anderson-The queen of all local soul, rhythm and blues! * March 26 Doug McLeod-A true American troubadour; acoustic blues. Check out the list of popular performers and find out more information at Miramonte Winery.